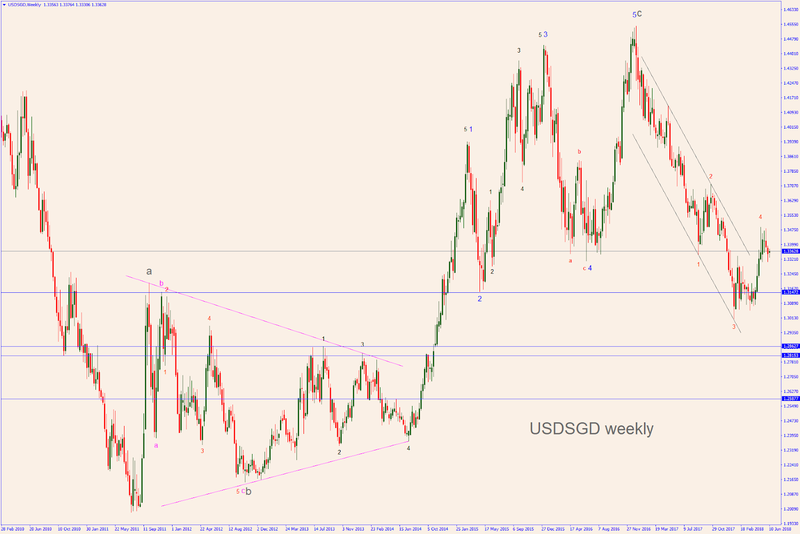 ELLIOTT WAVES by FX TUTORS: Time to Short the USDSGD? 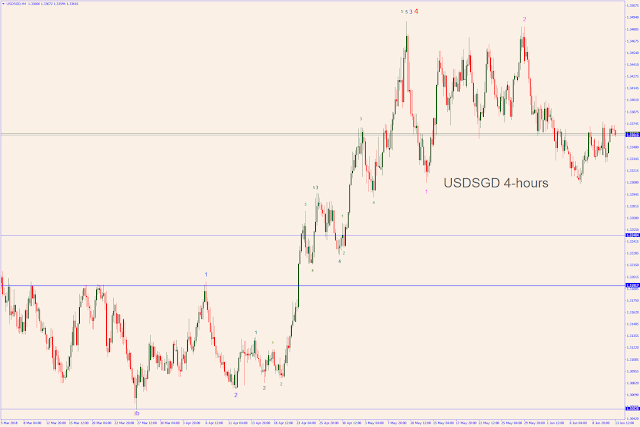 Time to Short the USDSGD? The USDSGD (now at 1.3361) seems to be ready for a big dive as it shows clear signs of extreme weakness. It might be heading to the 1.3147 area sooner than later. 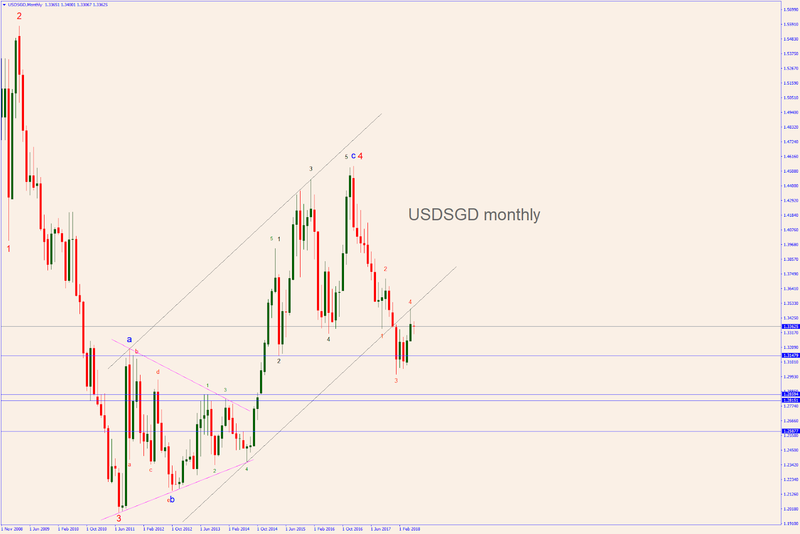 See the blue target lines in the monthly chart and in the weekly chart. The monthly chart shows the completion of major wave 4 around January 3, 2017. That Pivot Point marked the start of major wave 5 downwards (not labelled yet). The weekly chart and the daily chart show the completion of another wave 4 of a lesser degree around May 10. That Pivot Point marked the start of another wave 5 of a lesser degree downwards (not labelled yet). Finally, the 4-hours chart shows a significant double top. Note the last 4 bars: it's a candlestick pattern called runaway pattern. 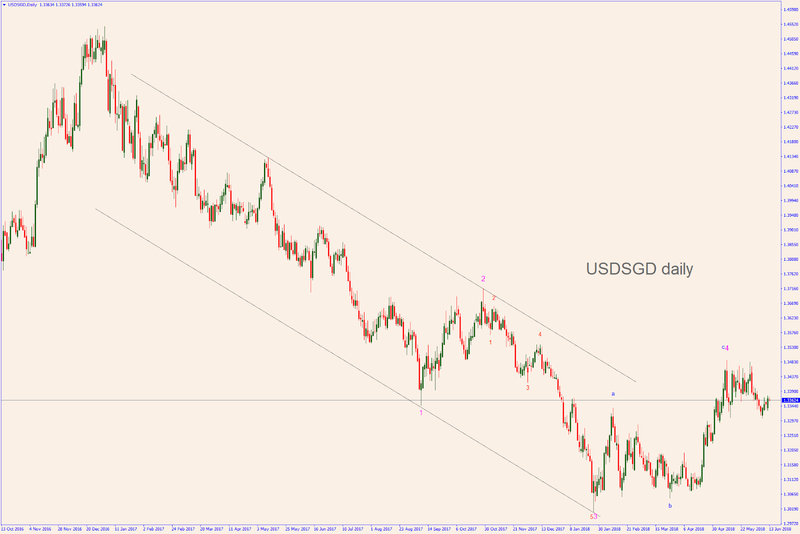 This could be a nearly perfect time to short the USDSGD. THE OIL TO TURN SOUTH AGAIN? Time to short the Aussie?